The New Saint Thomas Institute Opens! Last Monday, one of my favorite apologists/writers/bloggers Dr. Taylor Marshall launched the New Saint Thomas Institute. I am pleased to be one of the first 500 charter members! Great! What the heck is it? It’s an online institute aimed at bringing theology and philosophy education forward in a fun and engaging way. If anyone is familiar with Dr. Marshall’s writing and teaching style, they will understand that it is going to be a fun way to dive deeper into the Catholic faith by studying the greats. As one might imagine from the name, there will be a strong focus on Thomastic scholarship which will be very interesting and rewarding. One of the other compelling aspects of the Institute is that they are offering a continuing education program for credit, offering a one-year certificate of mastery and an eventual two year Master’s Degree program. For those of us with busy lifestyles, a job, and a kid being able to study in this way for credit is a real benefit. I have had an affinity to Saint Thomas Aquinas for awhile, and I even attempted to read the Summa on my own this year. It was very challenging, so I suspected that I needed some additional background. 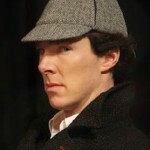 (This is actually what led me to find Dr. Marshall in the first place.) This Institute will provide some of the foundation necessary to appreciate Saint Thomas’ work fully, and I’m very excited about that. You can read about 7 reasons to join the New Saint Thomas Institute over at Dr. Marshall’s blog. Also, there is a community aspect. Dr. Marshall aims for a collegiate-style feel and I have already seen some of that in action. The member forum is taking on the feel of a college orientation mixer, and I have already been contacted by someone local to me that also belongs to the Institute so we can discuss the video presentations and study together. My brother-in-law also signed up from Illinois, so plenty of bonding experiences abound. If this sounds like something you’d be interested in, I encourage you to check out three preview videos provided by Dr. Marshall. Then you should really head over and sign up. You won’t be sorry, it’s great being a Fighting Muskoxen! If you’re a current member of the New Saint Thomas Institute, feel free to chime in with why you have joined up and what excites you about the program. 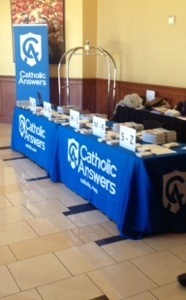 Today I made the trek to the first annual Catholic Answers National Apologetics Conference! The events kicked off at 3 pm with the “live” broadcast of the Catholic Answers radio program. I say “live” because a technical problem prevented the broadcast of the first hour, but the second hour did go out live. The guest was Bishop James Conley, former auxiliary bishop of Denver and the current bishop of Lincoln, NE. The two hours flew by with some great questions, including one from yours truly. For the record, I was nervous asking a question knowing that millions of people worldwide would hear it. I asked about the importance of consistency in messaging when evangelizing, given the broad spectrum of focus in the Catholic Church. I won’t spoil the answer by poorly paraphrasing it here, but it was very insightful. After that it was time for a buffet reception, where I got to meet many of my apologetics heroes: Patrick Coffin, Jimmy Akin, Tim Staples and Matt Fradd just to name a few. I also met a bunch of fellow conventioneers, including one couple from a parish not far from my home. Small world! The first day ended with the opening address by Christopher Check entitled “Put Not Your Trust in Princes” where he outlined the problems facing the Church and society today. He then offered some energizing ways we can cultivate change from within our own family outward to society. If this sets the tone for the rest of the conference, tomorrow is going to be amazing. More soon! In just a few short hours, I will be hopping a plane to San Diego to attend the Catholic Answers National Apologetics Conference. I am excited to get to listen to some of my favorite apologists in person and listen to the great speaker lineup for the weekend. In an interesting twist, the keynote speaker is our former bishop (now the bishop of Lincoln, NE), Bishop James Conley who I met two years ago at our Knights of Columbus State Convention. Providing there will be no delays in my flight, I will be there to attend a live broadcast of Catholic Answers from 3 – 5 pm. Catholic Answers really helped to deepen my faith and they are a large reason why I am out here writing on my own. To say I am looking forward to this weekend would be a dramatic understatement. Providing a decent internet connection, I may attempt to post something up from the road… but a full recap will likely have to wait until next week. This week, Pope Francis has called for a day of fasting and prayer for peace in Syria, the Middle East, and throughout the world. This day of prayer and fasting will take place on Saturday, September 7. This particular graphic is courtesy of Ignatius Press, and I have been happy to see this message spread beyond the normal Catholic circles. One of my Christian friends, in fact, shared the photo with some sentiment that “this doesn’t have to be just a Catholic thing.” She was right, in fact the transcript directly states that Pope Francis has called “each person, including our fellow Christians, followers of other religions and all men of good will” to participate in whatever way that they can. I got this question after explaining to a few friends that I was going to participate. Prayer and fasting are two of the three ancient spiritual disciplines (the third being almsgiving) designed to elevate the spirit to God in prayer. For me, fasting leads directly into prayer. It usually beings as a superficial “wow, I’m hungry” followed by “remember why you’re doing this” and then leads to prayer for that cause. This behaves similarly to abstaining from meat on Fridays, but fasting is usually a bit more demanding. 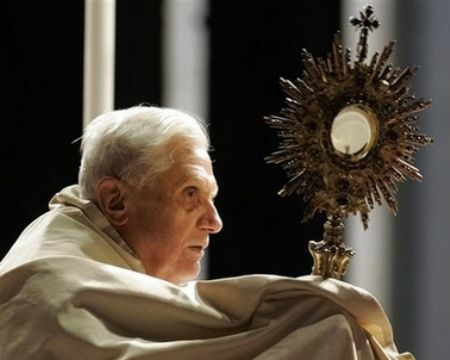 The rules for fasting and abstinence remain less rigorous than in previous decades, but I still tend to prefer the Ash Wednesday and Good Friday rules: no meat and two meals that must not add up to the same amount of food as one meal. It is a cry which declares with force: we want a peaceful world, we want to be men and women of peace, and we want in our society, torn apart by divisions and conflict, that peace break out! War never again! Never again war! Peace is a precious gift, which must be promoted and protected. You can read the full text of Pope Francis’ Angelus address here. Join me in fasting and praying for Syria and the rest of Pope Francis’ intentions on Saturday. Spread the word, share this post, share this graphic, and get the word out! You might have noticed a bit more duration between posts than usual lately. 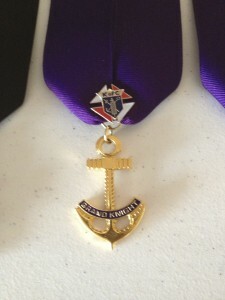 On July 1, I became Grand Knight of the Saint Mark Knights of Columbus Council #13131. Getting used to my new role means that evenings and weekends have been spent getting acquainted with the new role, scheduling upcoming events, and preparing for the upcoming year. Don’t you guys meet once a month and play cards and drink beer? While we do meet once a month as a Council, we don’t play cards or drink beer as part of the meeting. This is a very common assumption, but the local Knights of Columbus spearhead many events for charity, Church, and community. The Knights of Columbus was founded in 1882 by the Venerable Father Michael J. McGivney, who started the organization as a way to care for widows and orphans of the surrounding mining and factory community. The idea was to provide for widows and orphans in the case that the primary breadwinner of the family died, which is where the roots began of today’s modern insurance organization that exists within the Knights of Columbus. This is also why the principles of the Order are charity, unity, fraternity, and patriotism… they all stem from living life as a practicing Catholic man. You can read more about the timeline of the founding and other key milestones at the Knights of Columbus legacy page. The reason I point to this history is to illustrate that the Knights are founded on action (none of which are playing cards and drinking beer, to my knowledge). I got to sit down with our priest this week to look at our event plan for the year, and we have over 15 events on the calendar already. 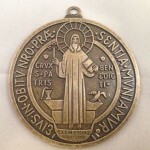 They range from serving the community (raising food, clothes, and money for the less fortunate), bolstering our own spiritual development by assisting in Church activities, protecting the sanctity of life by raising money for pro-life concerns, and raising money for people with intellectual disabilities. Just to name a few. So what does the Grand Knight do, anyway? Primarily, I get to lead the Council in our projects, run meetings, appoint a few offices, ensure a growing and excited membership, represent the Council in our charitable pursuits, and a host of other small activities. The best way I can relate it to something that a lot of people know is that it’s like Student Council President. One of the most important jobs is to set direction for the Council for the year and guide our work toward those goals. This is what the Knights are about! I am so proud and honored to have the privilege of leading our Council this year, words can’t really express it. 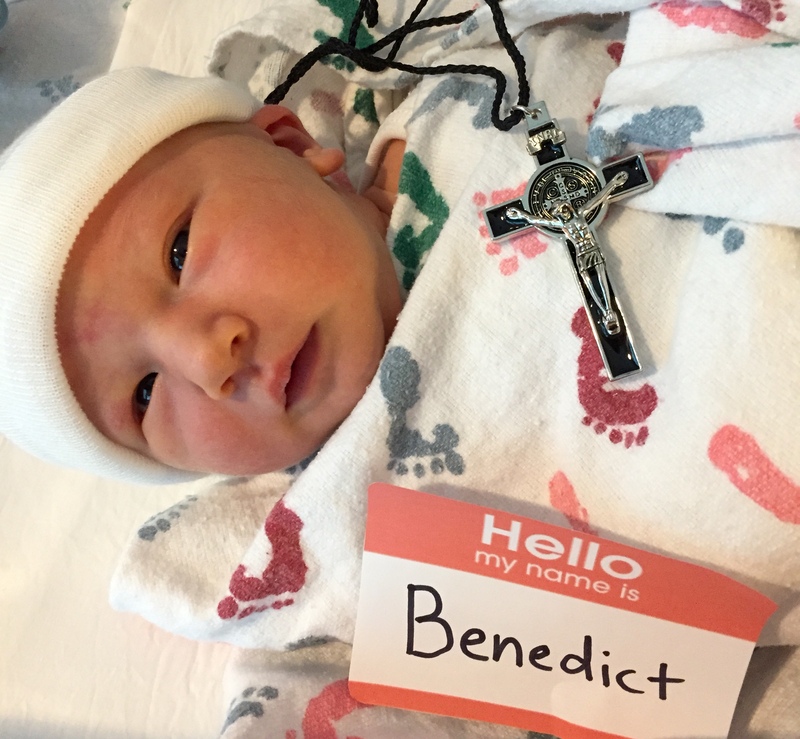 If you are a practicing Catholic man, consider this your gold-engraved invitation to join the Knights. I encourage you to contact your local Knights of Columbus Council to learn more, or you can feel free to email me and I will do everything in my power to help you. You can also read much more about the Knights at kofc.org or the Knights of Columbus Wikipedia page. Last week, amid the noise and gnashing of teeth that is my Facebook page I noticed the news of a truly interesting new apostolate dedicated to promoting the rosary with strong conviction, making a bold claim that ‘Real Men Pray The Rosary‘. 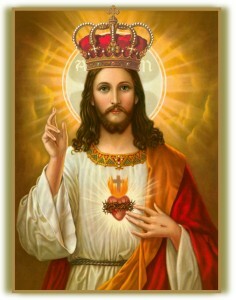 What’s more, they are currently running a 33 Day Rosary Challenge to meditate on the human ministry of Christ… one rosary for each of the 33 years that Christ dwelt among us in the flesh. The mission of this program immediately resonated with me. I have been working on ways to add more prayer to my daily life, ways to focus on the mysteries of Christ, and ways to visibly illustrate my internally held convictions. The problem: it was May 5. They were already five days into their challenge and I had only just found out about it. I thought about waiting until June 1st and starting, but I might lose focus and forget… so I did what any real man would do. I packed up my daughter and off we went to the park. She’s a two-year-old so she loves to swing and run around the playground, so she swung and went on the slide, and I prayed four rosaries in the middle of the busy park. I ignored the sideways glances from the group of six or seven teenagers that had congregated to yell obscenities and talk about their latest romantic conquests (I’m being charitable in that assessment, by the way) and carried right on with it. Eventually the teens dispersed, probably because of the weird guy praying in public. I’m ok with that. I picked up the fifth rosary that I needed to catch up later on that night, and have settled into a nice routine of praying the rosary before bed. Twice this week, I had the good fortune of praying the rosary before my Knights of Columbus meetings. It’s a very powerful thing, sitting amongst a group of men all praying the rosary. 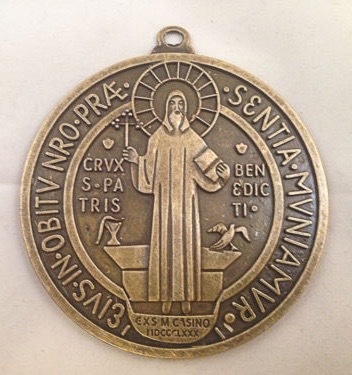 On Monday I found out that one of my friends, a fellow Sir Knight of Columbus, had entered hospice care so my rosaries this week were dedicated to his strength, the strength of his family, and for God’s Will to be done for him. This week I have found myself meditating on the mysteries of the rosary a little bit more during the day. I don’t know if this is simply because I’m becoming more familiar with them or because I am thinking about difficult things like the illness of my friend, but I feel that this 33 Day Challenge is already having a positive effect. I will join my voice with those that run the apostolate… get those rosary beads out of the drawer and pray them this month! Don’t worry about catching up, if it had been any later in the month I probably would have just started on an arbitrary day and counted out my own 33 day interval. 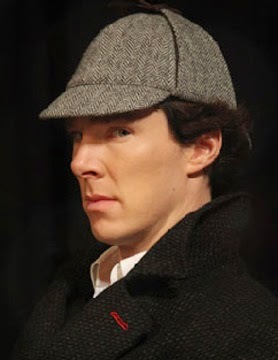 I mentioned before that I have a problem remembering the Mysteries, but that doesn’t have to trouble me any longer. I grabbed the Laudate app (available on iTunes and Android) and discovered that it has an interactive rosary that you can pray anytime and it lists the Mystery of the day on there. If you don’t have a smartphone, I am sure that your local Church or Knights of Columbus Council has little cards that list the prayers and the Mysteries. If you’re lucky, they might even have a spare rosary for you too. 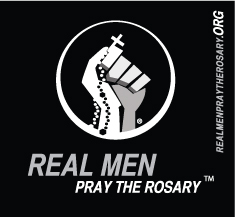 Real Men Pray The Rosary and you can too!